Submersible winding wires are the type of winding wires having close contact with water Or different liquids. In fact many submersible motors are designed in such a way that windings are immersed in the water itself, which works as a cooling media while the pump is in operation. In early years, submersible winding wires have been developed with PVC insulation, which were having thicker insulations for getting required electrical properties. Later, with the development of Poly wrapped wires, which has less insulation thickness and better properties. This reduced size of motors to great extent. We are manufacturing and supplying the poly wrapped RR SHRAMIK brand wires to you since long time. Now with the technological advances, we have developed a special insulating material, extruded wires of thickness and electrical properties which are better than poly wrap wires and having more softness with better surface finish. The extrusion process is auto controlled with laser diameter and HV spark tester. The continuous extrusion process with on line spark tester gives consistent 100 % checked quality of wire. It can give longer lengths as required by customer. This avoids joints in winding and reduces winding process scrap and integrity of the windings. The superior surface properties with extra softness give an excellent ease of slot filling, and shaping. The sample motors wound and tested for long term tests found excellent operational results. Less springiness, does not require hammering for shaping of coils. Throughout Laser OD control and HV spark testing. Fixed lengths coils are provided by meter counters. All types of single phase, three phase submersible motor pumps. 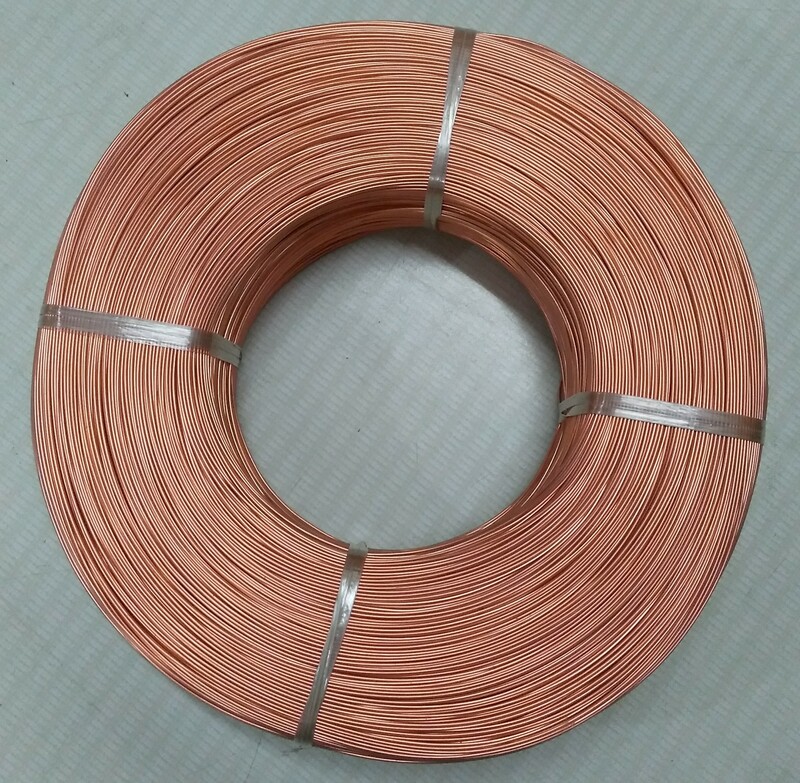 Conductor Dia range 0.40 to 2.50mm and Insulation covering range 0.30 to 1.00mm. Considering the fact that the insulation is softer than Poly wrapped wires, certain precautions must be taken during transit, handling usage of M. H. Classic Submersible Winding wires. Retain the original box packing till actual usage. Place the wire coils and wound coils on Rubber sheets to avoid damages. Use the provided bubble sheet to place coils – Do not place on corrugate boxes – they have staple pins, that can damage the insulations. Examine and rectify for any sharp Objects/Sharp corners which can come in wire path during coiling. Do not give more force on the coils to fit in slots. Avoid any sort of damages during coil fitting. Check the wooden/plastic slot fillers. It should not damage the wires while pushing. Ensure proper transit/packaging of wound stator.